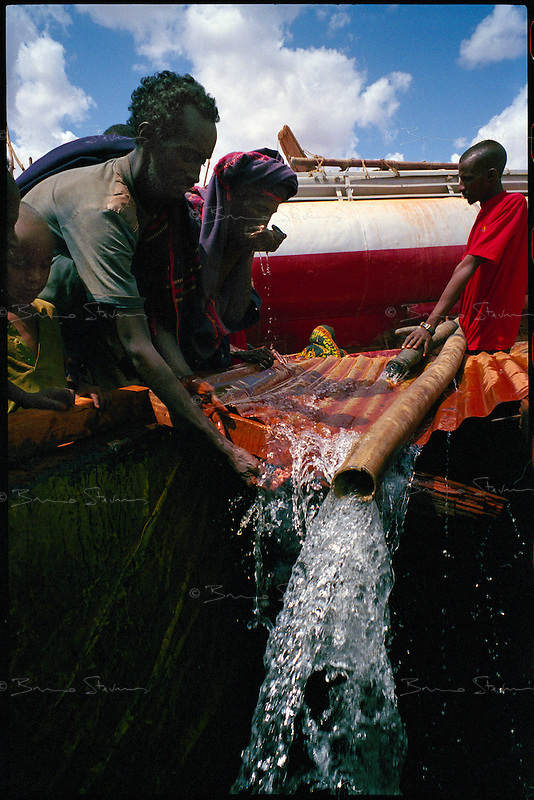 Wargaddud, NE Kenya, March 2006..A private tanker truck brings water into the village's cistern twice a week. More than 4 millions people are affected in the region by the worst drought in man's memory. The livestock is decimated and a whole lifestyle threatened.